Last night on the BBC, the wonderful Mariella Fostrup lifted the lid on prime time television about the menopause. Yes, it was only an hour. Yes, it focused a lot on technology and drug treatment. About 10 months ago I tried Hormone Replacement Therapy (HRT). I was grumpy. No, let me express the truth of my mood. I was FURIOUS with everyone and everything. I felt violent about things that irritated me. I had to hold myself back. My periods kept going missing and I was aching all over. I had vicious headaches for the first time in my life. But I could have coped with all of that. What I couldn’t cope with was my anger. I’m talking downright rage at dumb things like burning dinner, my daughter not pausing the TV when I left the room for a moment or the dog getting muddy footprints on my bed. I was lucky. My middle-aged female doctor did not hesitate to prescribe HRT. She talked to me about the the risks of cancer and I felt it was worth it. For six months I faithfully took the pills. I felt immediate relief. I felt like myself again. But I stopped taking it. I renewed my prescription once but not twice. Why? HRT brought my periods back. My weight stabilised. I wasn’t furious, stressed and sleepless anymore. My cycle felt synthetic. 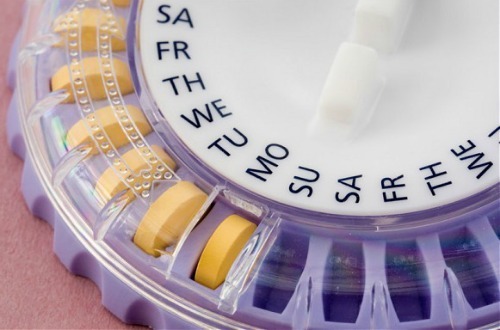 HRT pills are colour-coded and half-way through the month when they turned from white to pink, I felt a lurch in my temperament. HRT attempts to replicate a woman’s hormonal cycle. But not in a gentle way. Well, not for me anyway. I thought I’d test what would happen if I took a break from HRTs. Would my symptoms, in particular my RAGE, come back? Some did. Within three months of stopping HRT my periods went AWOL again and I seem to find myself with a new layer of fat around my middle. My anger hasn’t returned - well, not with the same vengeance as before. I found myself wondering if six months of treatment was enough to stablilse my mood? To rid me of my fury? In the intervening six months I changed my life massively. We sold our house and went traveling around Europe in a campervan. I decided to work fewer hours and spend more time with my daughter. I pivoted my business so I could spend more time working with people I love working with and less time bashing my head against a brick wall. I actively worked on my fears around money which had driven so much of my previous workaholism. And, when we returned from our European trip, we moved to a smallholding so we could feel more connected to the earth and produce more of our own food. I think my anger subsided because I worked to find a more blended life - one that works for me and suits my (menopausal) needs. I still get moody. I still get annoyed when I’ve asked, for the 10th time, if my daughter has brushed her teeth and I receive SILENCE in return. But I don’t have the rage. The “Change” is a powerful message that we often ignore. It’s our bodies telling us that we’re changing - not just chemically - but in every way. What we want from life is changing. What we’re capable of is changing. What others need of us is changing. If HRT works for you, great, If you’ve found alternative therapies work for you, great. I’m lucky. So far no hot flushes. No depression. Not much anxiety. I’ve had clients who’ve been unable to continue working because of their menopausal symptoms. I’m not in that situation - yet. If HRT, or anything else, helps you move more easily through this time in your life, I support you 100%. We treat The Change as something to be gotten over - like a treatable condition. The menopause isn’t a cold. We do this as it allows us to ignore the fact that we are ageing, maturing and evolving. I’m not 20, and I don’t want to be. So why should I still be hustling after 30 years in the professional world? Why should get up at dawn or work after my daughter has gone to bed? My worth, after all this time, doesn’t come from my perky enthusiasm, my naive willingness to say yes to every project that comes my way, or the Energizer Bunny-like energy I used to have. My worth comes from being able to make a difference, fast, to my clients and their businesses. It comes from being able to take 30 years of experience and distill it down to the one thing my clients need to hear from me today. I’m not 20 and I don’t want to live, or think, or work like a 20-year-old. The menopause may not feel like a gift, but what if it is a prize for making it this far? And what if the gift is the prompt you need to re-evaluate what you want the next phase of your life to look like? Purely treating the symptoms so you can maintain the course you were on in your 20s and 30s is unlikely to bring you peace of mind, a sense of fulfilment or the wellbeing you seek. Your anger might subside but the emptiness will not fade. We need to acknowledge that, as middle-aged women, we want different things than we did when we were younger. Maybe, our bodies are trying to tell us that it’s time for some changes - and not just physical ones. The Change isn’t a set of symptoms to be managed but a message from our bodies, if we haven’t dulled its sound with drugs, that it’s time to change more than just the thermostat. My anger has dissipated because I no longer set an alarm to wake up in the morning but wake when my body is ready. I no longer sit at my desk from 9am until 5pm working flat out, ticking through my do to list at breakneck speed. I’ve said goodbye to obsessing about my weight. I’m now curious to see what happens if I just let my body regulate itself without constant intervention from my brain. Instead of seeing the menopause as a purely physical change, let’s embrace the opportunity to say, “My body is telling me something and my brain needs to start listening”. We don’t have to give up, get fat or withdraw from life, my sweat-sisters! We still deserve respect and status. We can still get the job done and dye our hair pink, purple, chocolate brown or be boldly silver if we wish. At the same time, we don’t have to prove that we’re still in our 20s. We’re in our 40s and 50s and 60s and proud of what we are or are becoming. By acting our age, we can teach the world that women in their 40s, 50s and beyond are wise, bold, brave and beautiful. By all means take HRT. But - also take the hint that your body might be sending you. How you want to live in this next chapter of your life is up to you. Let’s embrace the menopause and shake things up. What’s the worst that can happen? If this article resonates with you or if you’re a middle-aged menopausal woman who’s ready to design a life you love, I’d love for you to share this post by clicking the links below. My new coaching programme, A Brilliant Gamble Online, was made with menopausal women in mind by an actual menopausal midlife woman - ME! It’s already helped women just like you who are ready to design a life they love.